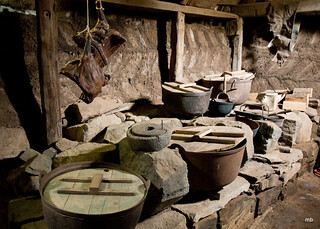 The old kitchen in Laufás museum. My last photo was from the "new" kitchen and I was asked how the old one was. Here is a photo from the old kithcen. From the Laufás museum, Eyjafjörður north Iceland 2015.